In my opinion, we seriously have until November to finish this project anyway. And it's weird... the entire time I felt like I was being watched. I kept hearing this Michael Jackson songover and over again in my head. Yep. Mallie is always watching me. She wants to be with her people! This busy crazy momma has put a lot of miles on her feet and legs this summer in preparation for marathons 7 & 8 and I've been super excited to put SKINS to the test with my training, with running, strength, recovery, you name it. SKINS has been amazing. It's not wonder I wash 2-3 loads of super stinky laundry each day! We're always moving. Always on the go. Always sweating. Not to mention I have a teenager.... so he just naturally has a funk. 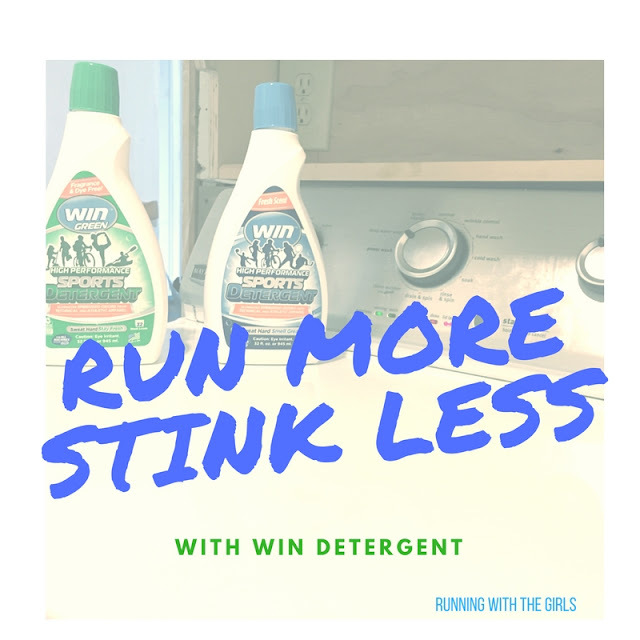 I've been super appreciative of being able to test out Win Detergent over the past few weeks!